Updated: Japanese Dining SUN has offically closed, and would like to thank customers for their patronage over the past 8 years. 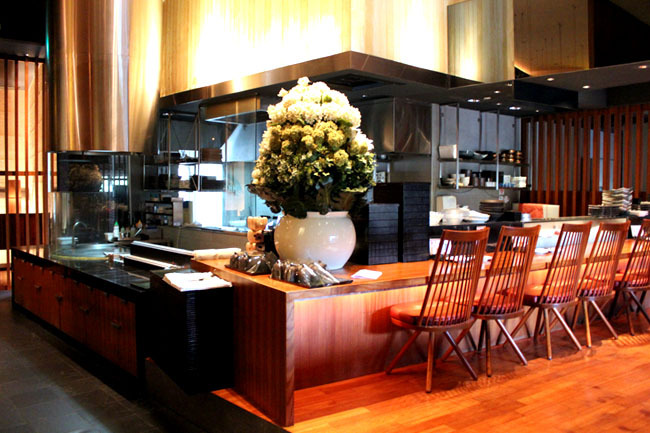 For their VIP members, points and privileges can still be accessed at Sun with Moon Japanese Dining and Cafe at Wheelock Place. 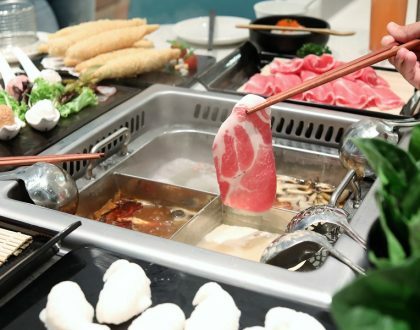 Kyushu is the third largest island in Japan, home to a variety of food with high nutritional value, thereby also earning the title of “Food Island”. Getting to Kyushu now would be a dream come true. But if that doesn’t happen, it will be best if someone brings Kyushu to us. 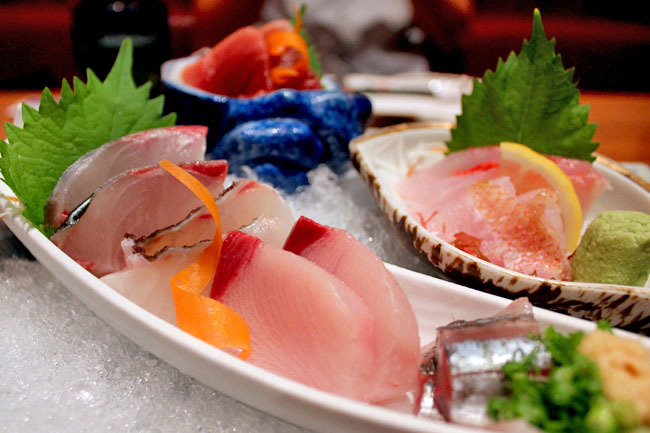 If you are feeling you want to splurge, then it is about time you do it with the Kyushu Sashimi Mori ($88.80 for 7 kinds) which include fatty tuna, yellow sea bream, horse mackerel, golden-eye snapper, striped hack, yellowtail and Japanese sea bream. 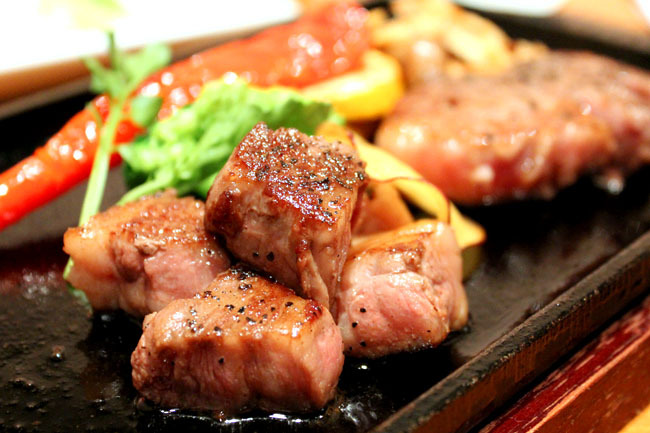 Or a Japanese grade A3 Miyazaku Wagyu Ribeye and Sirloin Steak Teppanyaki ($88.80). Both my dining partner AiMakan and I were just okay with the ‘expensive dishes’ during the tasting, and instead fell more head over heels with the very simple gyoza. 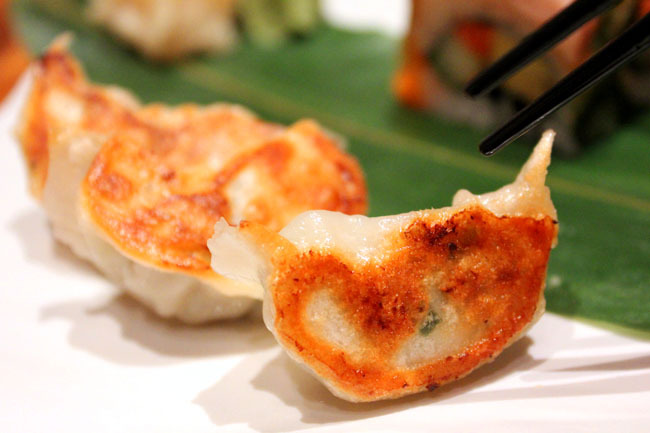 The Fukuoka-style Kurobuta Gyoza ($9.80) came hot piping in a metallic plate, sized small and cute. It was no wonder the dumplings were tender, tasty and juicy at the same time – the meat was made from Berkshire pork (black pig = heavily marbled) filled with cabbage chives and garlic. 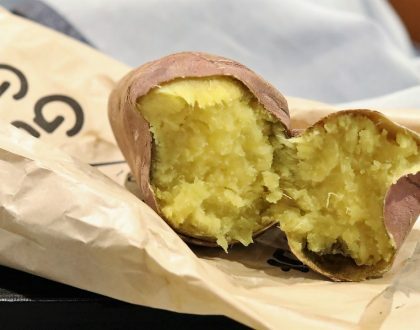 Though I was on a diet, I promptly finished five! The sushi, a Mentai Salmon Takana Roll ($18.80) was particularly interesting because it tasted like some I never had before. It was partly spicy due to the seasoned cod roe, partly sweet for the omelette, and partly ‘kiam-chye-ish’ salty for the addition of preserved mustard leaf. 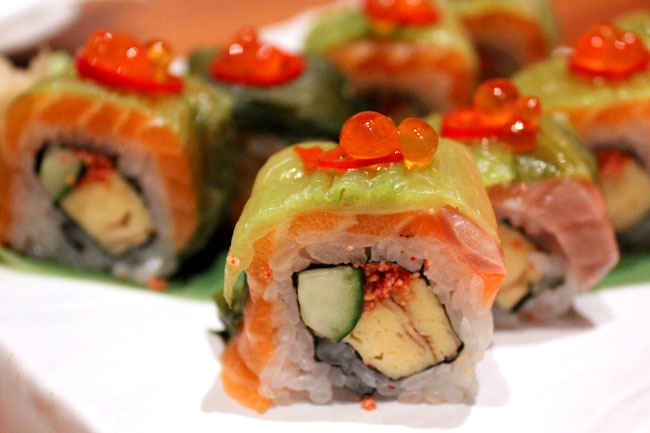 I think this is a love or hate sushi, but I happened to like it for the explosion of different tastes. Traditionalist would frown. 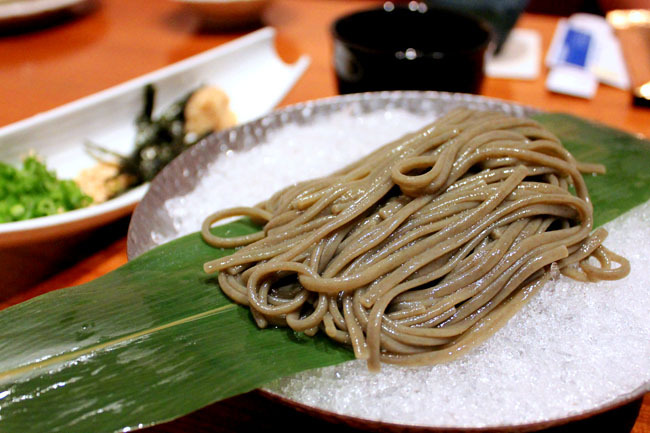 Somebody must be kidding me when you say that these green noodles dipped into cold sauce is NOT soba. Yah, right. It is actually Nori Udon made with seaweed. This is one of my personal highlight dishes because there is a firmer yet slippery texture compared to the usual soba, yet still remaining light (I usually don’t take udon because it is just too chewy and heavy.). 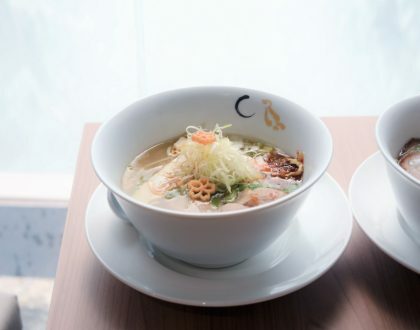 If these spread still do not make you feel like in Kyushu, the Tonkotsu Ramen ($11.80) and Chazuke ($15.80) which are their signature cuisine should do the trick. 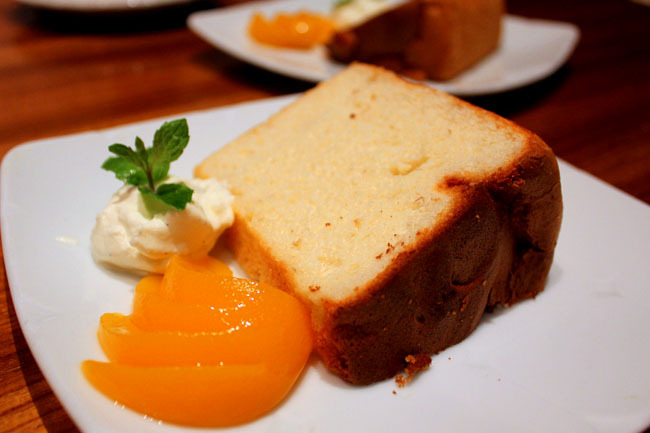 The Momo Jam Chiffon Cake ($6.50) infused with ripe peach jam and served with homemade vanilla cream, all light and fluffy, should make you feel that you are having a refreshing holiday right over there.